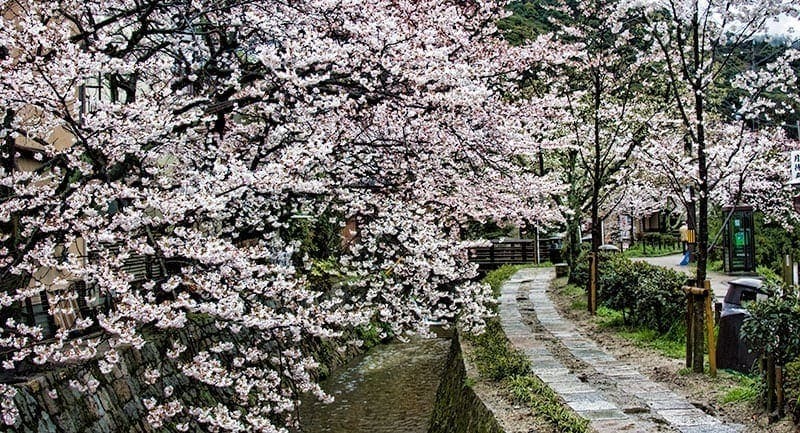 The Philosophers Path in Kyoto (called Tetsugaku-no-michi in Japanese) runs alongside a section of the Lake Biwa canal lined with cherry trees in the northern Higashiyama (eastern hills) district of Kyoto. It begins at Ginkaku-ji (the silver pavilion) and ends at Nanzen-ji. Along the path you can make small detours to other temples, cafes and traditional shops. The area got its name as the Path of Philosophy from a Japanese philosopher in the 20th century named Nishida Kitaro who was also a professor at Kyoto University and would walk the path each day in quiet contemplation. 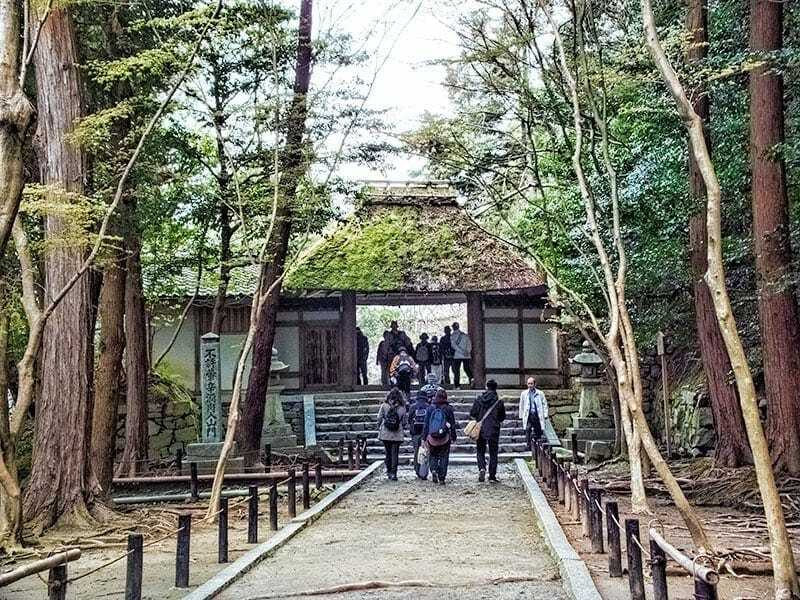 If you’re here early in the day before the crowds appear you can easily see how Nishida-san might have found the sound of the running water and white-eyes chirping in the trees could be conducive to walking meditation. The path is flat easy walking and around 2km long so if you simply stroll the length of it you’ll spend around 30 minutes. 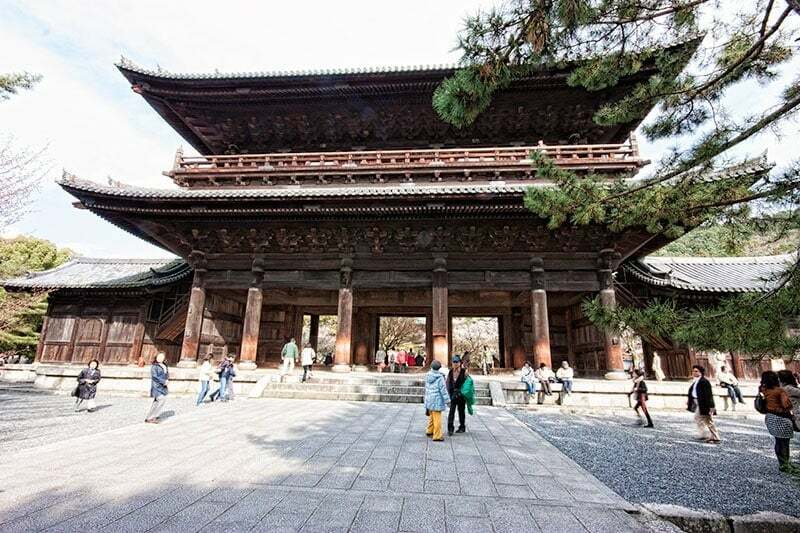 However if you explore one of more of the temples along its length and stop for a refreshing bowl of matcha or lunch along the way it can easily turn into a half day or full day activity. If you’re interested there is a branch of Omen, one of my favourite noodle restaurants near Ginkaku-ji. I’m not a souvenir shopper, I take my photos and experience everything I can on my travels but I don’t usually buy trinkets to remember a holiday. However there is a shop along this route on the right as you head south that sells beautifully made wood and lacquer-ware. I haven’t managed to walk past this shop on any of our visits without buying something, lacquered noodle bowls, hand carved wooden rice bowls and exquisitely ornate his and hers lacquer chopsticks. I tell myself they aren’t really souvenirs because I use them on a weekly basis but they do transport me back to this beautiful part of Kyoto and I think they make my attempts at Japanese cooking a little more authentic. 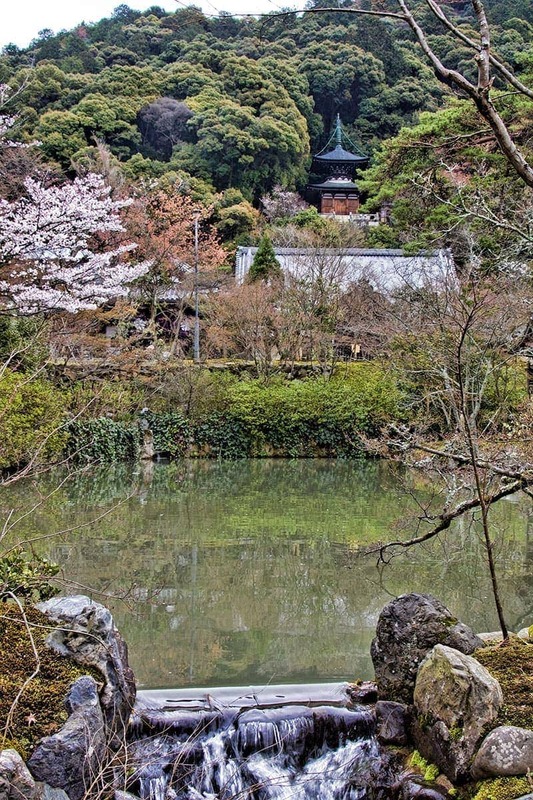 Ginkaku-ji or the silver pavilion is a zen Buddhist temple at the northern end of the Philosophers Path. 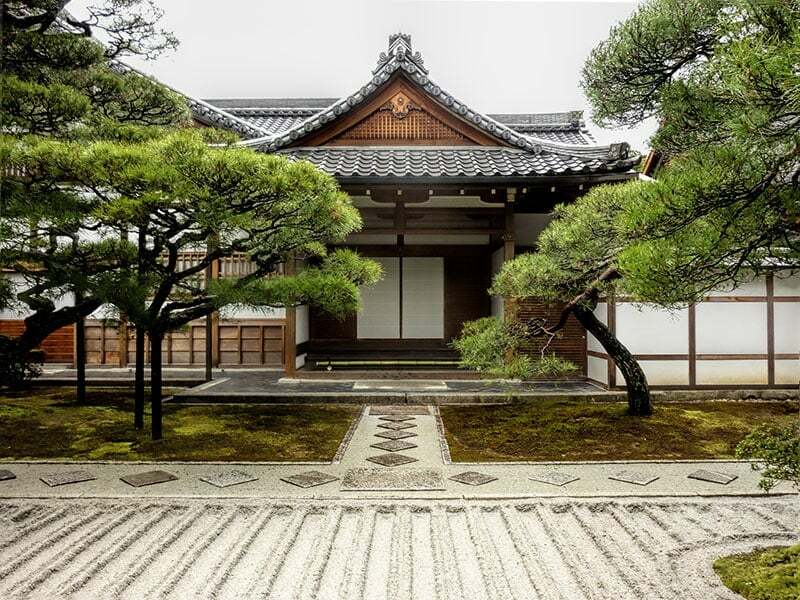 It has been instrumental in the development of many Japanese art-forms including ikebana, garden design and the tea ceremony and has the most impressive sand gardens we have seen anywhere in Japan. This is one of my top temples in Kyoto, it just has the most wonderful peaceful ambiance about it from the moment you approach the moss covered thatched gate. I would recommend visiting during the first two weeks of April or in early November. During this time the main hall is open to enjoy the show of camellias and autumn foliage. Entry to the main hall during the special openings has a nominal fee but all other access to the grounds is free. Inside the gate you will see two sand garden mounds with the path leading between them, this is said to purify the visitor. Continue following the path over the pond bridge and through the mossy garden, you will find a lovely secret garden behind the main hall. It’s also worth stopping at the small storehouse (Kura) where free art exhibitions are held, when we were there last there were the most exquisite hand formed pottery eating and serving bowls on display. You detour into the hill slightly from the main path to find Honen-in but it’s clearly marked. If you are visiting during the first two weeks of April or last two weeks of November you can follow the same road to the south to find Anraku-ji and Reikan-ji temples. These few weeks of the year are the only public openings for these two temples. Honen was a high disciple of Kobo Daishi and he founded this temple in 863, it was known as Zenrin-ji or Temple in a calm grove. The priest Yokan (1033-1111) tended the sick and poor at the temple, building a hospital wing and planting the plum blossom grove to provide medicinal fruit. Yokan was better known as Eikan hence the temple name Eikan-do. Both names are used for the temple but it’s better known by the latter. This temple complex is built into the hillside and is very busy in autumn when the maple trees turn stunning shades of red and copper. The unusual Amitabha Buddha statue in the Amida-do hall adds to the fascination with this temple. The statue shows the Buddha looking back over his left shoulder and relates to a story of Eikan-san in the 11th century. It is said that while he was practicing walking meditation, chanting the nembutsu in the hall very early one morning he grew sleepy and stopped, then the Buddha turned his head and said ‘Eikan, hurry up’ encouraging him on his journey to enlightenment. Nanzen-ji is at its peak during cherry blossom and koyo (autumn leaves). This massive gate was built in 1628 by the Tokugawa clan recognising the soldiers killed in the seige of Osaka Castle in 1615. The views of the city from the second story are good on a clear day as are those from the hillside of Ginkaku-ji and Eikan-do. Entry to the main temple area is free but there are charges for specific garden areas. As you walk around you will see an incongruent aqueduct that looks like it belongs in Europe not Japan, it was built in the Meiji period to carry water from Lake Biwa to Kyoto. This isn’t an exhaustive list of all the temples and shrines off the Philosophers path but they are each interesting and sufficiently different to give an overview of the area. With over 1600 temples in Kyoto a comprehensive list is going to take a lot more visits but please do leave a message in the comments below if you have been to others in this area that you enjoyed. 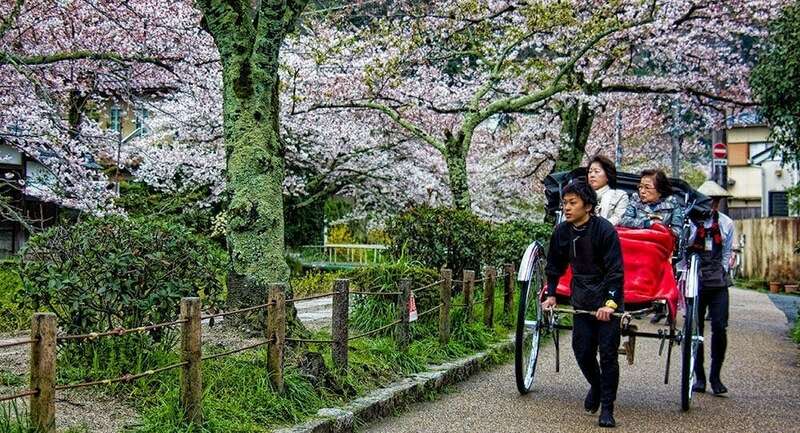 You can start at either end of the path or only walk a segment of it but as we often stay in the Kyoto Station or Gojo area to the south of the city we’ll usually take the Raku 100 bus or local bus 3 or 5 to the northern end and wander back south through Miyajima Park and Yasaka Shrine to central Kyoto. Alternatively it’s only about a kilometer from Nanzen-ji at the end of the Philosophers path to Heian Shrine and not far out of your way if your headed back into town. 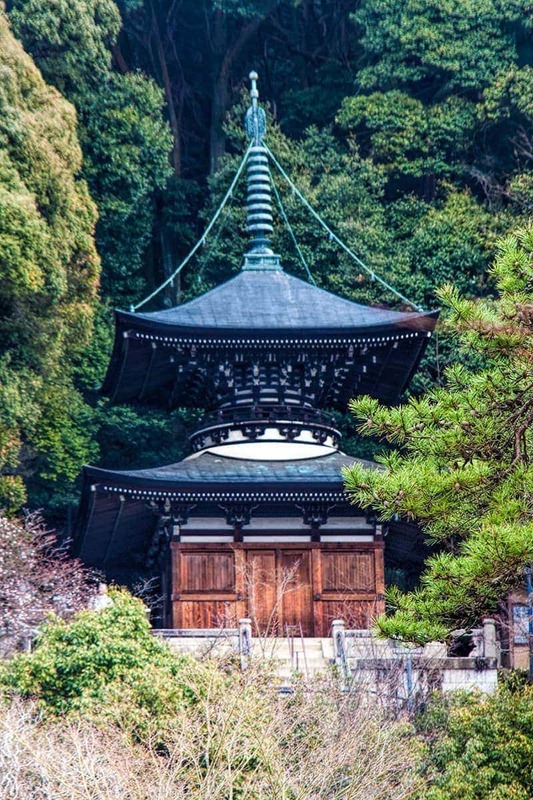 I have a special love for the northern Higashiyama area of Kyoto around the Philosophers Path, please share your experiences below if you’ve been to any other temples or places in this area you have enjoyed. Very nice. I was there just a few months before you for my 50th. Now I know what the philosophers walk looks like in colour! Next year maybe. It’s a gorgeous spot in all seasons – hope you had a fabulous birthday celebration! Beautiful pictures and temples! Those cherry blossoms are so pretty. Thanks for sharing! I love that little Hurry Up Buddha story and the awesome images. Must see spot. My wife taught English in Japan for about a year, MANY moons ago 😉 Loved it. She was in Hiroshima. I couldn’t really believe that a 2-km walk can turn into a half-day out until I saw the photos of the temples! Btw, it’s the first time I’ve heard of a sand garden. Would love to check it out one day! I can’t wait to go to Japan! To be honest, it wasn’t on my radar for a very long time but everyone I know who has been there told me that it was one of their favourite countries. Cannot wait! Stunning photos. I would love to visit! Oh that is incredible. I really need to get to Japan! Thanks for sharing this. What an absolutely stunning place to walk! Wouldn’t it be nice to take a long quiet walk each morning – especially in such a lovely place. Kyoto is absolutely beautiful – I visited when I was 15, and while I can’t remember specifics because it was a long time ago, I do remember there were just so many beautiful temples. Will have to go back through my photos from that time to see if we did the Philosphers Path. Thanks for the memories! Lovely photos and amazing temples. Stunning! You must have been there during Sakura? Another place on my bucket list…another place I’d like to visit sooner rather than later now! The rest of the path looks wonderful too, but it’s those cherry blossoms that have gotten stuck in my mind’s eye. Beautiful!